Q1: How to improve the use effect with recarburizer? According to experiments, the effect of the recarburizer in the induction furnace is very good. Therefore, the smelting furnace can be replaced by an induction furnace to smelt. The dissolution rate of the recarburizer can be effectively increased by 4 times, and the intermittent melting of the induction furnace and the high melting temperature are more. It is beneficial to improve the use of recarburizers. 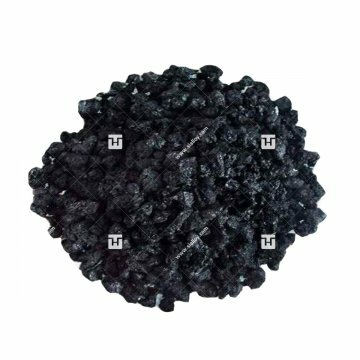 In the case of using an induction furnace, the carbon absorption rate of the petroleum coke recarburizer can be effectively increased to about 90%, and the absorption rate of metallurgical coke is more than 70%. The use of a combination of scrap steel and recarburizer to smelt the product can also have the effect of improving the use effect. It is also feasible to produce semi-synthetic cast iron with less pig iron. If you still have other problems with the use of recarburizer or want to buy quality recarburizer products, please contact Huatuo Metallurgy and we will be happy to help you! Hua Tuo Metallurgy Co.,LTD set up factories in 2001, is a professional production of ferroalloy and metallurgical materials manufacturers, a professional ferroalloy and metallurgical materials production equipment and facilities, employees have received professional knowledge and ferroalloy metallurgical materials before induction, welcome everyone consults and cooperates. Q2: What should I pay attention to when using inoculant? The inoculant should have a uniform particle size when used, otherwise it will affect the use effect of the inoculant and increase the use of the inoculant to cause waste. In addition, the inoculant with uniform particle size can effectively play the role of slag deoxidation. 3. When using inoculant, the amount of use must be mastered. When using inoculant, the amount must be mastered. For example, for the production of gray iron parts, the inoculant is generally controlled at 0.3%-0.6%. Do not blindly increase the amount of inoculum, otherwise it will increase the viscosity of the molten iron and the slag inclusions and shrinkage cavities. Shrinking tendency. The above is to explain the points of attention when using the inoculant, I hope to help your use, on the other hand, if you still have any place to know about the inoculant products, welcome to consult and cooperate with Huatuo Metallurgy Will be happy to help you. Q3: What are the types of silicon slag? 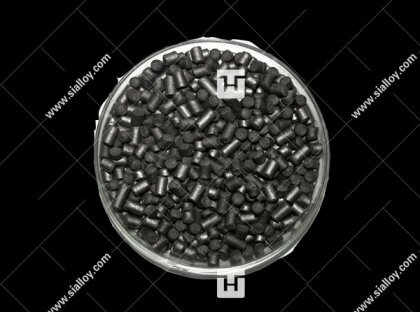 granularity 0-3mm, 1-3mm, 3-5mm, 10-100mm, 10-50mm, etc. Q4: What should I do if purchased cored wire is flattened with a wire feeder? Answer: Hello, you can first confirm that you have not purchased the core wire product in Huatuo Metallurgy. Secondly, the main reason why the core wire is flattened by the wire feeder is because there is less empty material in the core wire. In the case of the material, that is to say, the core wire package is not round, and the core wire is crushed when the wire feeding machine is used. Solution: The specific solution is that you can adjust the feeding speed of the equipment and the feeder, and purchase the high-quality core wire manufacturers to purchase the core wire, which is generally measured by the national standard. Q5: Which areas can ferrosilicon powder be used in? Answer: Ferrosilicon powder is a kind of iron alloy . Ferrosilicon powder is usually processed by natural grinding of ferrosilicon. The ferrosilicon powder is more convenient to use than the natural block of ferrosilicon. The advantage is that the chemical reaction can be more thorough in the actual use process, so in which areas can the ferrosilicon powder be applied? Ferrosilicon powder can be used as inoculant and spheroidizing agent in cast iron. Ferrosilicon powder can effectively improve the performance and seismic resistance of cast iron, and can greatly improve the mechanical properties of ductile iron. Ferrosilicon powder can be used as a reducing agent in the production of ferroalloys. 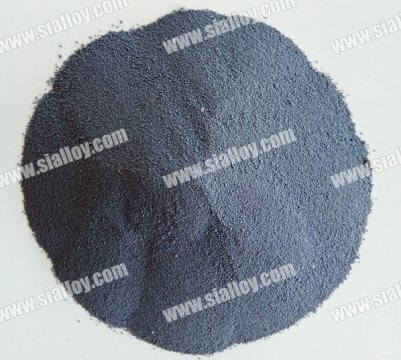 The internal silicon element has affinity with oxygen, and the low carbon content of high silicon ferrosilicon powder is a commonly used reduction in the production of low carbon iron alloys in the ferro alloy industry. Agent. In the process of magnesium smelting, ferrosilicon powder can effectively precipitate magnesium into one ton of metal magnesium and consume about 1.2 tons of ferrosilicon, which plays a big role in the production of magnesium metal. Customers can understand the application of ferrosilicon powder in various fields, and apply ferrosilicon powder in the right place to achieve the best use efficiency. Q6: What are the raw material of ferro silicon? Answer: Ferrosilicon is a ferroalloy product with a large amount of purchase . It mainly uses deoxidation and slagging. It is often purchased by many industries, especially steel mills. Even some steel mills have monthly purchases relative to ferrosilicon. Planning or tendering. Although ferrosilicon has indeed penetrated into the depths of the industry, many people who come into contact with it still have a strong understanding of ferrosilicon. For example, how ferrosilicon is produced, only knowing in depth what are the raw materials used to produce ferrosilicon. Fundamentally understand ferrosilicon. 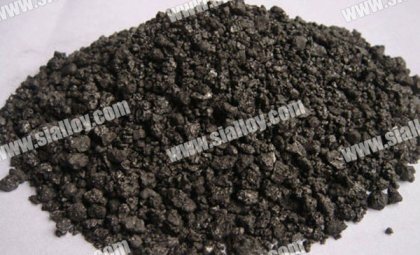 Silica can be said to be the necessary material for the production of ferroalloy ferrosilicon. Good silica can produce good ferrosilicon. This is not an exaggeration. Generally, silica should be made with a silicon content of more than 97%, and the silica must be uniform in size so that it can be produced. Good quality ferroalloy ferrosilicon! Coke is usually used as a reducing agent in the production of ferrosilicon. Coke is used as an auxiliary raw material. Generally, low-ash coke should be used as the main raw material for producing ferrosilicon. If the ash is too high, it will affect the smelting effect of silica to block the live, so that ferrosilicon The quality has dropped significantly. The general raw materials for the production of ferrosilicon are silica and coke. After the raw materials are selected, they are fully melted in an electric furnace to produce a high-quality ferrosilicon in a high-temperature environment. By understanding the raw materials used to produce ferroalloy ferrosilicon, we can Produce high-quality ferrosilicon to enhance the efficiency of the manufacturer. If you have any need for ferrosilicon or have any questions, please contact Huatuo Metallurgy and we will serve you wholeheartedly! Q7: How long does it take to ship after payment? Answer: After the customer's payment, the general delivery time is 3-25 days, which depends on the product demanded by the customer, and the amount of the product is determined. Q8: What are the specifications of Silicon Carbide? Answer: Anyang Huatuo Metallurgy has a variety of SiC specifications, depending on what you need for SiC , we will recommend it according to the application, including sic content of not less than 98.5%, 98%, 97%, 95% , 90%, etc.